Nearly four years after the legislation was first introduced in Parliament, the Commons fisheries committee has passed a bill banning whale and dolphin captivity in Canada. S-203, first sponsored by now-retired Liberal senator Wilfred Moore in 2015, bans keeping and breeding cetaceans in captivity through amendments to the Criminal Code — all but ending a practice that was once a staple of the theme park experience in this country. The bill passed the committee, unamended, with the support of Liberal and NDP MPs. An amendment to the legislation, however minor, effectively would have torpedoed the bill in the dying days of this Parliament, as a changed bill would have to be sent back to the Senate for another final vote. The bill has faced unprecedented resistance from some Conservative senators in the Red Chamber and there are only eight sitting weeks left in this session. The committee’s vote — and continuing support for the bill from the Liberal government — amount to a victory for animal rights activists who maintain that holding these highly intelligent creatures in concrete tanks is a cruel and perverse form of entertainment. If it’s passed by Parliament before it rises for summer prior to an expected fall election, the bill will levy fines of up to $200,000 on parks and aquariums that are found to have violated proposed animal cruelty provisions in the Criminal Code. Marineland in Niagara Falls, Ont. — the only remaining facility in this country that is committed to holding these mammals over the long term — has been a vocal opponent of the bill, saying it would devastate attendance and threaten conservation efforts at theme parks where these animals are on display. It also has said the bill threatens the seasonal employment of hundreds of local residents during the summer months. However, existing cetacean stocks will be ‘grandfathered’ by the bill, meaning the park can keep all the animals it currently owns. According to data supplied by the Department of Fisheries and Oceans, Marineland owns about 61 cetaceans: 55 beluga whales, five bottlenose dolphins and one orca, or ‘killer whale’. The Vancouver Aquarium has just one such mammal left. 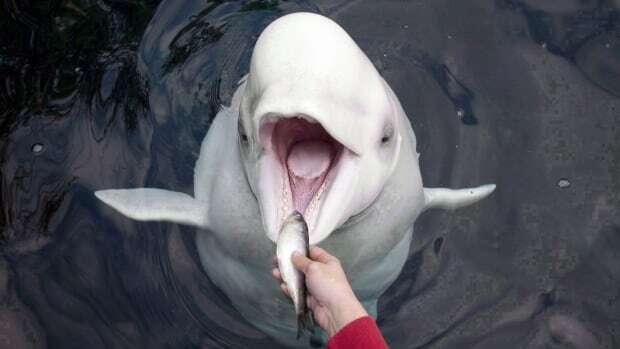 “Marineland has enough beluga whales in existence to probably continue for another 30 years, so no jobs are going to be lost as a result of this in the immediate future,” Sinclair said. The hope of many activists is that some or all of the mammals currently in captivity will be ‘retired’ eventually and moved to an open water seaside sanctuary in Nova Scotia. Andrew Burns, the lawyer for Marineland, has argued the bill is unconstitutional and has flagged potential legal problems the park might face when a currently pregnant cetacean gives birth after the bill — which bans birthing — is passed into law.